Summer vacation is turning out to be a lot busier than I thought! But I am having a lot of fun and so are the kids. Some days have even been a little too much fun and resulted in a little meltdown by the end of the day. 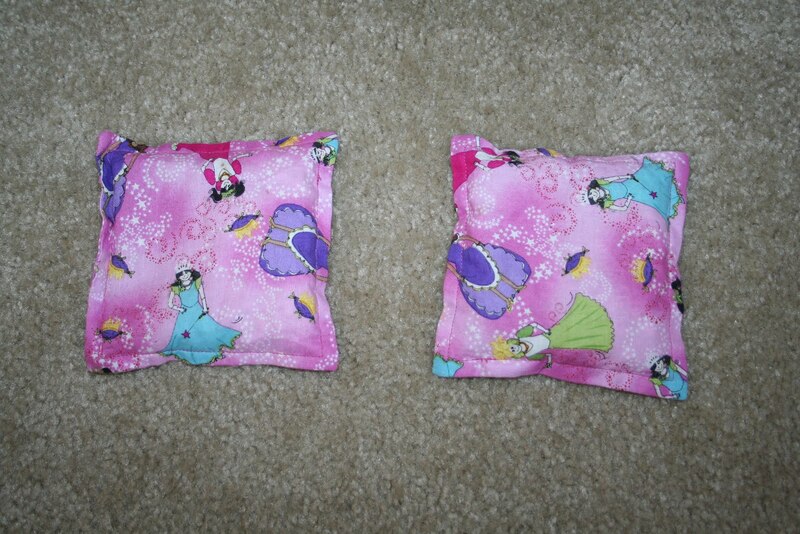 I made these little beanbags about 8 months ago for Casey. (There used to be three but one is hidden somewhere in this house.) Then I put them away because I didn’t have any for Jack. I don’t think I had any cute boy fabric at the time. Jack pulled them out and started playing with them and asking all sorts of questions about who I made them for and why I made them. Eventually I told him I would make him some that night and we picked out the fabrics that he wanted. 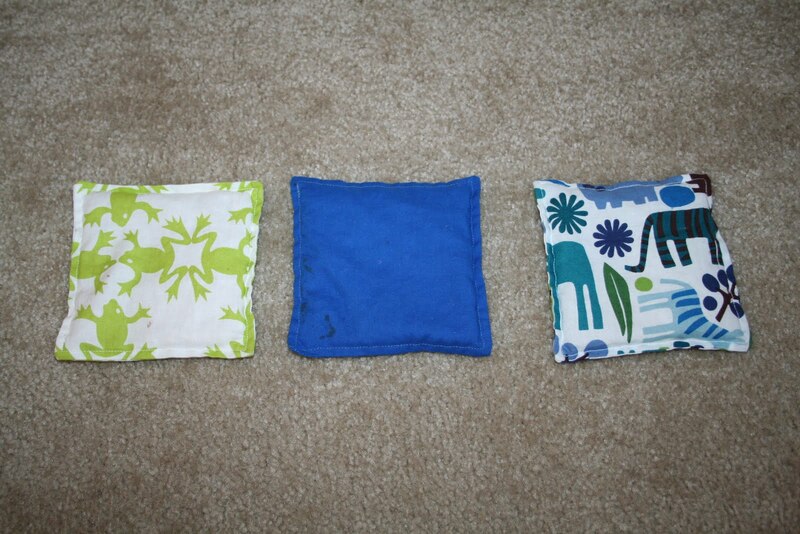 Thursday morning started with a little crying…because I totally forgot to make Jack his beanbags. So bright and early, and with a small audience, I made Jack his set. He was very happy with them. We took them to the car dealership while we waited for an oil change and he had a great time throwing them into a box. In the afternoon, we went to the gym and the pool. Then we stopped home so I could change, stopped by the ice rink to have a skate fixed for Pat and headed to a little outdoor concert to meet some friends. It was rush hour and it took forever to get there. We brought some chairs for the concert, got some pizza, had some gelato and then things started to go a little downhill. I brought the beanbags out, hoping it would entertain the boys for a bit. But the long day finally took it’s toll on Jack. He wouldn’t share the beanbags, he insisted on throwing them too hard and he wouldn’t listen to anything I said. I finally had to tell him that we were going home because he couldn’t behave. He was just ugly. I can’t remember ever having to leave somewhere because of his behavior. But it was really necessary. He ended up crying himself to sleep because he behaved badly at home and lost his stories. So the beanbags were a blessing and a curse on Thursday. Now they are covered in chocolate gelato fingerprints but Jack is still very happy with them. And I’m trying not to exhaust my children to the point of extreme crankiness any more. Oh, and the funniest part of this day was in the elevator of the parking garage on the way to the concert. The kids were each carrying their chairs and as soon as the elevator door closed, they both opened them up and sat in them while we descended. It was hilarious and I wish I had a picture, but it was only a few second elevator ride.